At long last — here it is! Ten more beautiful old houses for sale for under $50,000! I skipped a month of this series (we’ve been deep in the throes of the homebuying process — more on that to come!) but to make up for it, I’ve included a handful of bonus listings at the bottom. Enjoy, and as always, click the photos to be taken to the listing sites! I NEED THIS PORCH. Right now. Today. (It’s over 90 degrees in New York City right now.) This 1,830-sf Georgia beauty is a Fannie Mae Homepath property with lots of charm inside and out. Sigh… I just love old houses! Alright, it needs a paint job, but that’s a small price to pay for that staircase! According to the listing, the house has a grand foyer and is a “diamond in the rough awaiting your updating.” Beautiful! Um… are you seeing what I’m seeing? WHAT ON EARTH MAKES THIS HOUSE SO CHEAP? It was, according to the listing, built by Danville tinner Henry Bireline in 1910 (you can tell by looking at the ceilings!). The home features “original hardwood floors, doors, and trim; one-of-a-kind painted tin ceilings, unique in each room; original brass doorknobs and light fixtures.” Pinch me. I chose to feature this house for the back porch alone. The details! It certainly needs work, but you can’t fake good bones. If you’re an architecture buff you’ll love Racine, where Frank Lloyd Wright chose to station many of his projects. A perfectly lovely foursquare with lots of original woodwork is searching for its soulmate. Is that you? I LOVE LOVE LOVE these old southern homes. Having grown up in the northeast, I have a total fascination with deep overhangs and long porches so indicative of hot & hazy summers. Inside this beauty you’ll find some nice historic details. According to the listing, it “needs someone to love it!” I do! I wrote about this one in my piece last week for Country Living showcasing 10 fixer-uppers I’m dying to get my hands on (you can read that full piece HERE). I just can’t believe it’s only $12,000! What I wouldn’t give to be in Maine this summer instead of hot, sticky New York. The listing site only shows exterior photos, but the realtor (Steve Roy of Coldwell Banker Plourde Real Estate in Waterville, ME) was kind enough to send me some beautiful shots of the curved & carved staircase inside and other original details. Definitely a fixer-upper, but what a fantastic house! The listing calls this St. Louis home a “rehabbers dream,” and I can see why. Little is being offered on behalf of the seller (it’s “as is” and no pre-sale improvements will be made — take it or leave it! ), but if you’re the fixer-upper type you’ll have a dream project on your hands. Take a little tour through the house and notice the woodwork and historic mantels. I’m in love with the porch on this house. It adds the perfect amount of delicate, Victorian whimsy! Obviously there is work to be done here, but it looks like much of the interior is original. The listing says this house is within walking distance to downtown and sits on a large corner lot. But I’m more impressed with the inside! There is wood paneling galore and lots of vintage wallpaper (I’m have a weakness for vintage wallpaper). 10 Houses Under $50,000: Porch & Woodwork Lovers Edition! Ms. Finkelstein, I just wanted to say thank you. I LOVE the homes you seek out and share with us. I stumbled on to your site a few days ago and I can’t stay away. I also can’t believe the prices. I wish I lived near one of these gems. Unfortunately I am too far away. Oh well hopefully one day. I share your love for old houses and I just want to rescue each one. We are fortunate to have rescued one old Victorian which we plan to move into in December. 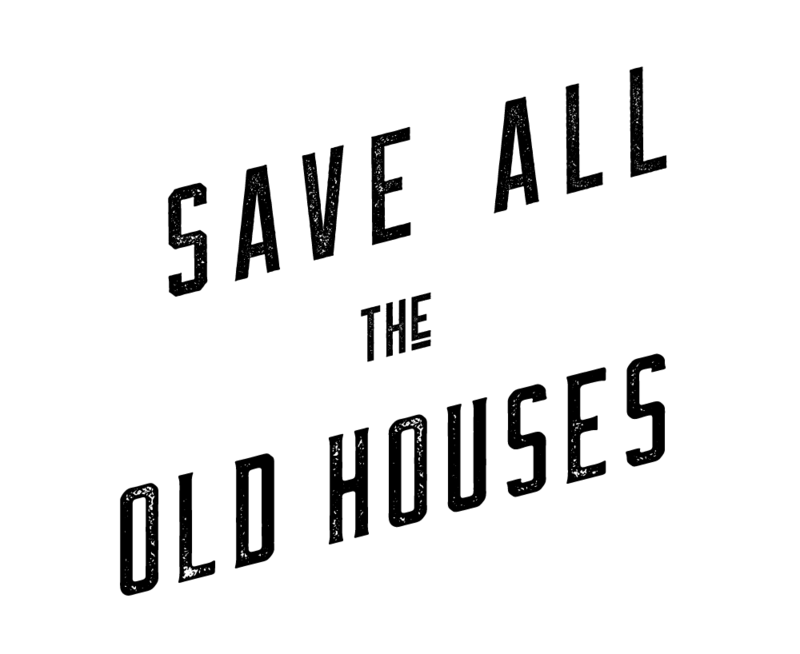 Here is hoping that your passion for old homes inspires someone to adopt one of these old jewels!